It’s time to throw on some red, white and blue to celebrate America’s 242nd Independence Day. On July 4, a host of activities will pop up across Broward County, from a private fireworks viewing party on the 33rd floor of the Diplomat Beach Resort, to hot dog and apple pie eating contests, $10 cheeseburgers and all-day music, entertainment and fireworks shows. Celebrate the Fourth of July with live bands, a kids zone, beach games, contests and a dazzling fireworks display. From noon to 9:30 p.m. on Fort Lauderdale Beach at A1A and Las Olas Boulevard, activities will include bounce houses, water slides, face painting and hot dog and apple pie eating contests. Stick around until 9 p.m. for a massive fireworks show. Look out at uninterrupted views of the Atlantic Ocean at Beach House Pompano’s rooftop terrace and indulge in an expansive buffet spread filled with grilled favorites at the restaurant’s Fourth of July party. Guests will also enjoy a cash bar, a DJ and prize giveaways. Tickets will be sold at the door for $125 for adults and $75 for children. Stars, stripes and sea! Terra Mare will be serving happy hour specials all day long, featuring a range of land and sea dishes for $10 and under. Highlights include ropa vieja empanadas, charcuterie, pork belly buns and crispy calamari. Happy hour also includes $5 beers and $8 wines by the glass, or cold-pressed juice cocktails such as the Terra Collins, made with Hendrick’s Gin, cucumber, lime juice and simple syrup. 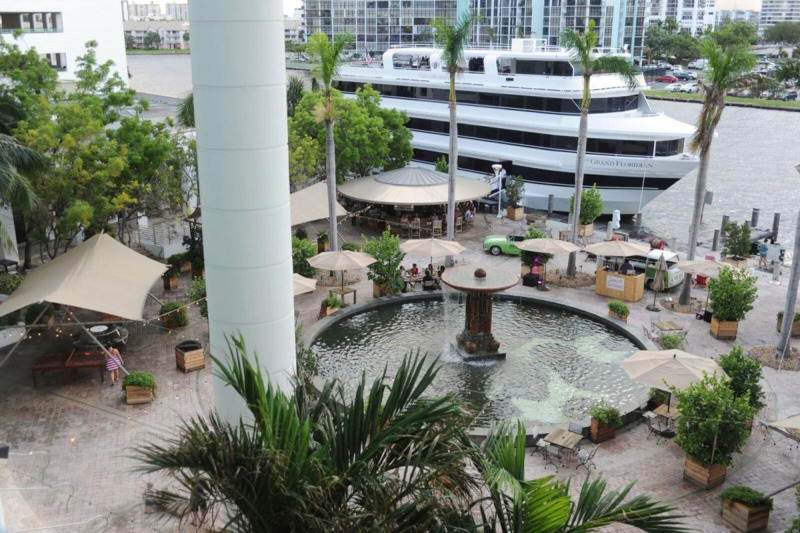 Take a seat on the patio for a view of Fort Lauderdale Beach’s fireworks show or cool off inside the main dining room. In Hollywood, the Diplomat will host a number of activities during the holiday. For $45, enjoy unlimited draft beer from Budweiser (Bud and Bud Light), along with a la carte barbecue smoked in-house and live music from noon to 6 p.m. On the 33rd floor, enjoy a private fireworks viewing party with an open bar at 9 p.m. for $100 per person. All locations, including Fort Lauderdale, will host a red, white and blue brunch to celebrate America’s birthday. Indulge in Tap 42 classics such as the Hangover Sandwich layered with a sunny side up egg, smashed avocado, hash browns, crispy bacon, white cheddar and truffle aioli on a toasted challah bun. Sip on bottomless bloody marys, mimosas and Funky Buddha beer, too. 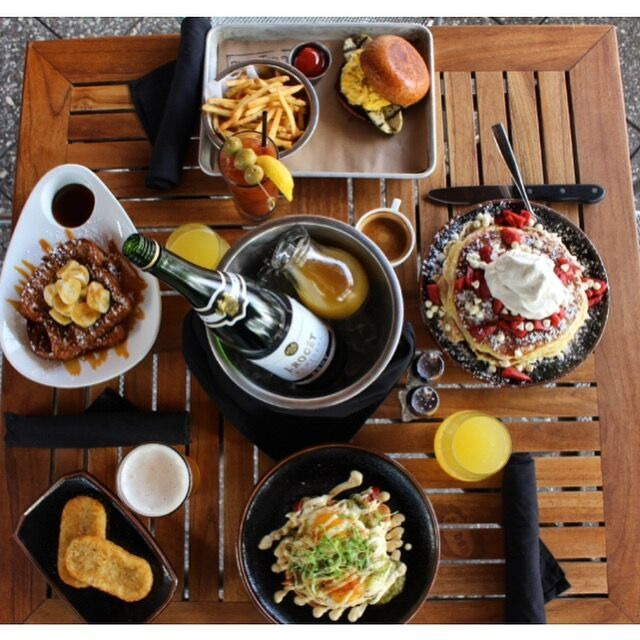 Brunch is served from 11 a.m. to 3 p.m. Equipped with some of the best firework views in Broward County, the resort is gearing up for a Great American Summer Fourth of July bash. At noon, DJ Blix will kick off the party at the resort’s LandShark Bar and Grill, which will offer its regular menu of beach snacks. By 5 p.m., a number of artists will perform at the Hollywood Beach Bandshell, leading up to a fireworks show at 9 p.m.
What’s more American than eating a burger on the Fourth of July? 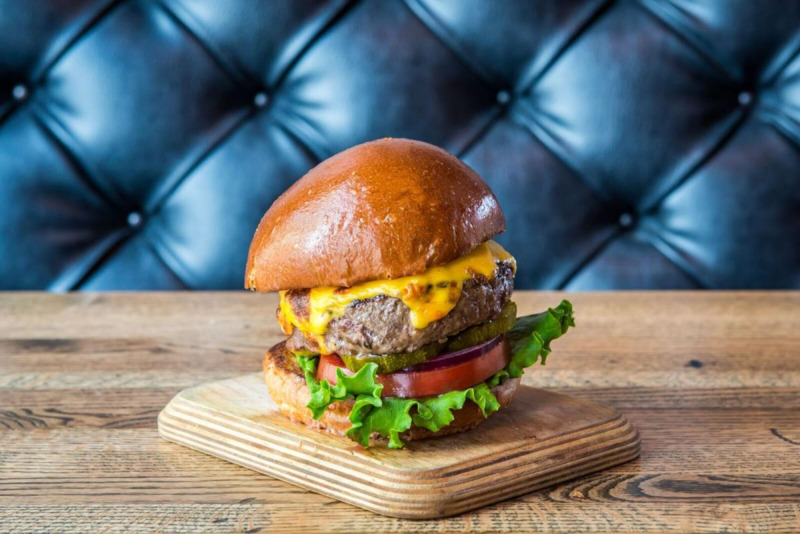 ROK:BRGR will be serving its $10 classic American cheeseburger drizzled with special sauce all day at each of its locations. 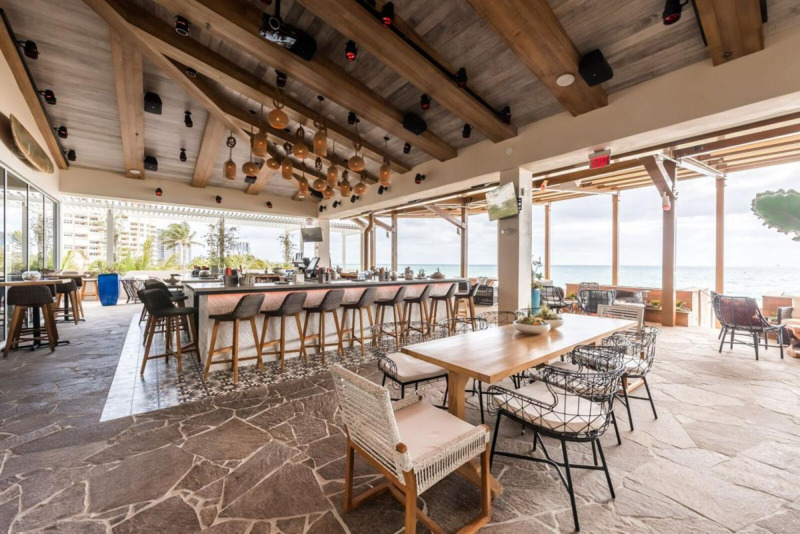 Just in time for Independence Day, the Atlantic Hotel’s Sky Bar will debut on July 4, with a traditional American clam bake and a fireworks viewing party from 7 p.m. to 9 p.m. 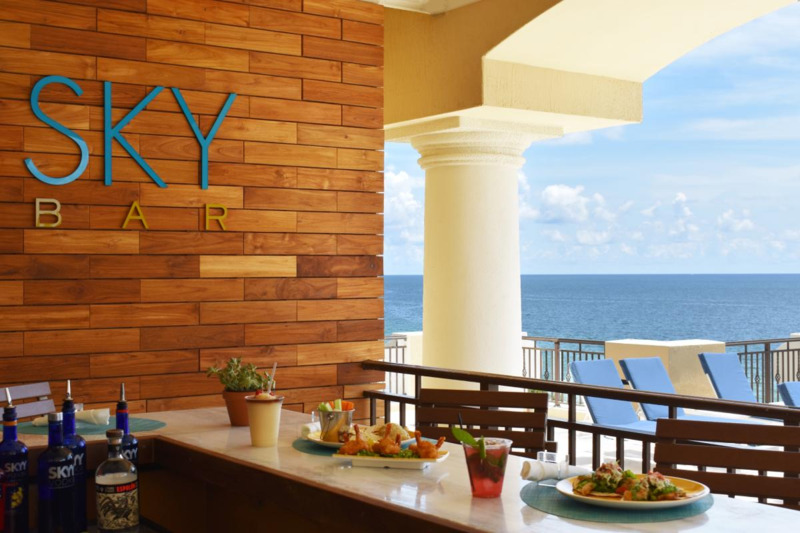 Located on the fifth floor with unobstructed ocean views, menu highlights include steamed clams, sautéed snapper, Maine lobster and beef sirloin paired with apple pie, strawberry shortcake and themed cocktails, such as watermelon lemonade and blue margaritas. Tickets, which can be purchased online, cost $59 for adults and $12 for children 12 and under.